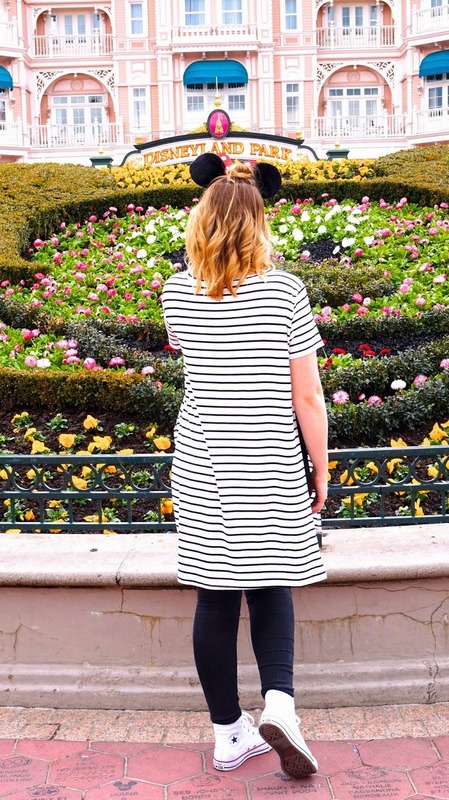 I thought I would share with you one of my outfits from our trip to Disneyland Paris. This was my outfit for our first day exploring the park and hitting the rides at Hollywood Studios! When we arrived in Paris, it was actually surprisingly warmer than expected so I decided to throw on this slouchy oversized t-shirt which I picked up from River Island a couple of weeks before our trip. 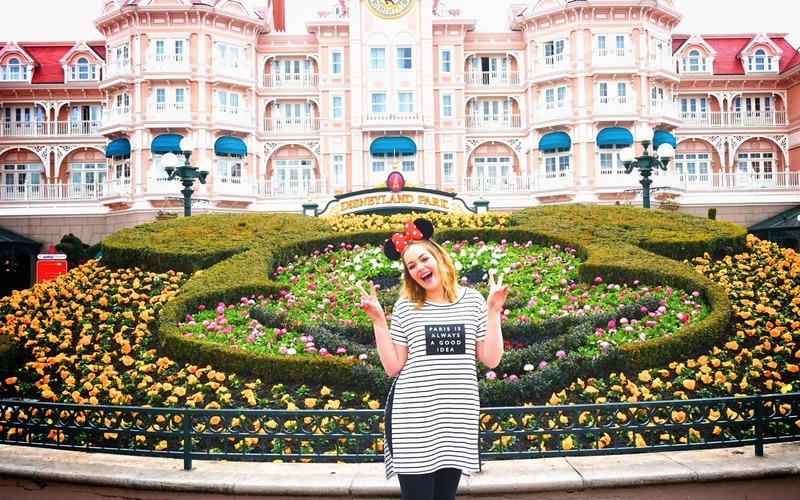 When I saw this t-shirt on the rails, I instantly thought that it would be perfect for our trip to Paris! I loved the slogan 'Paris Is Always A Good Idea' that was printed across the striped t-shirt. This t-shirt is perfect to wear around the park as the material is really soft and very comfortable! I like the length of the t-shirt because it's slightly longer than usual, so this top would look super cute to wear as a dress if we visited Paris again in the future when it would be slightly warmer! The t-shirt had small slits at the sides, so it created a little more shape and it meant that you could see my high waisted jeans. I decided to wear my black washed 'Joni' jeans from Topshop, which are super high waisted which makes them so comfortable! To finish of my casual Disney look, I wore my white high top converse trainers and my classic original Minnie Mouse ears! We had such a fun day exploring around the two parks and going on lots of rides! 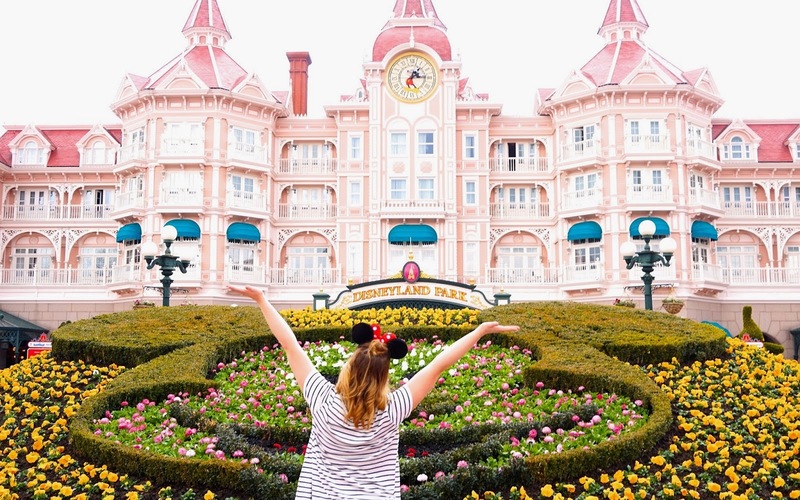 We also have one more outfit post coming from our Disney trip which is very different from this look! We are excited to share it with you as it's both our outfits! Such lovely pictures and I'm loving the outfit! I've always wanted to visit Disneyland it looks so magical. Super cute and comfy outfit! You look great! Love this, makes me want to go back! !